Weekly change of scheets and towels. Had a lovely 4 night stay at Ricardo apartments, Miguel collected us from the airport and was very helpful. Our room was huge 2 double bedroom and another bed in the lounge. We are 3 brothers aged between 56 & 62, and loved these apartments,air con works great and the wi fi never let us down. No noise at all during the evening slept perfect, it's a nice 12 minute walk into the old town or the beach. We would walk back during the day,and it is a bit if a hill,but not really steep. Had taxi back every evening 7 euros, it ticked all the boxes for us.looking forward to returning. It has been a pleasure to meet you. We will be waiting for you next visits to Benidorm. Very clean just as described, very peaceful. My wife and I have just returned from a four week stay at Ricardo's apartments, it was just as described, Ricardo and his lovely family always there if you need them. The apartment is up a hill not so good if moblity problems but ok with a car, there is a bus just across the road that takes you to the old town it runs about every two hours, a taxi back is about 8 euros. Would definitely recommend. Hope to return next year. We stayed here as a family of 2 adults and 3 children (13/12/10) the first week in August. From the moment we arrived we were welcomed by a really friendly family. Ricardo and his daughter couldn't do enough for us during our stay, nothing was too much trouble and they were always on hand if we needed any information or just for a chat. The apartment block was ideal for us, gated at the front which allowed our children the freedom to play around the pool or head back up to the apartment without adult supervision. The apartment was clean and bright and had everything we needed for our stay, I imagine if we found we needed something else Ricardo or his daughter would have provided this without question. The pool area was great a lovely pool which graduated in depth (prior to visiting we were unsure if it was the same depth throughout (too deep) as it is not stated but much to our delight upon walking in at one end to the following end being the deepest at approx 6ft. The garden was immaculate and well looked after, with plenty of sun loungers to go round. 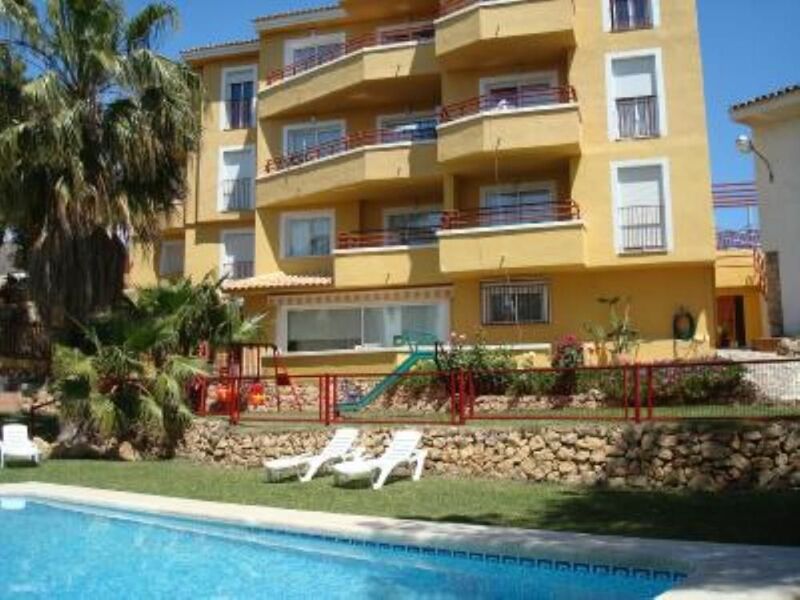 We chose this accommodation due to its location being away from the busier parts of benidorm and we were happy with our choice, it did take us around 15 minutes to walk back uphill with 3 children dragging their heels in the heat but this did not put us off. We would without doubt return to these apartments. you are a great family and great guests. and I will be waiting if you desire to benidorm again. Sun drenched location in beautiful suburb! We are very pleased with having your visit. My friend and I had month in this lovely apartment. It had everything you could wish for. My only regret was Ricardo offered us top apartment which we didn't take him up on it as we had already unpacked so our middle apartment had no sun on balcony but next floor up would have been ideal. My friend walks with a stick so she jumped on bus outside whereas I had quick walk took me 12mins to get to sea but if u are not active it's best to take bus. I would recommend ricardos apartments set in a peaceful location but not for those who prefer night clubs on doorstep. .We received to him in the entrance of the freeway. 3 km. Golf "Real de Faula"